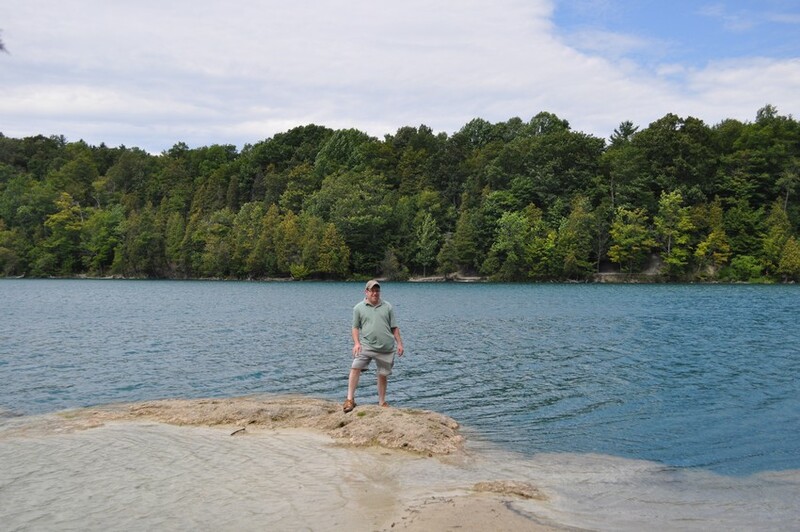 This trip was part of our family camping trip. We stayed at Green Lakes Campground due to its central location around the area we were vacationing. 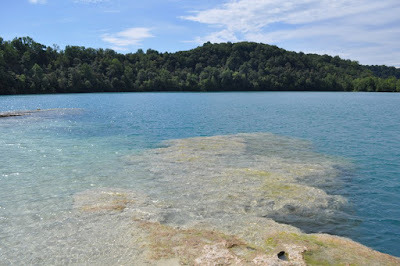 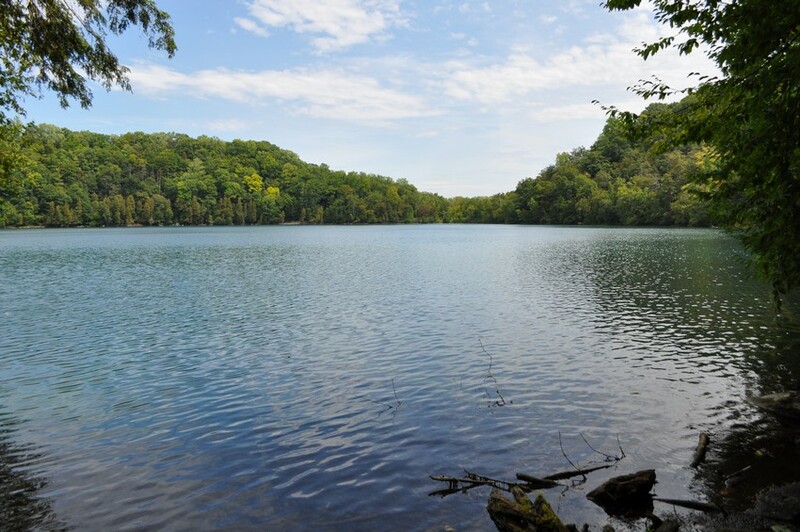 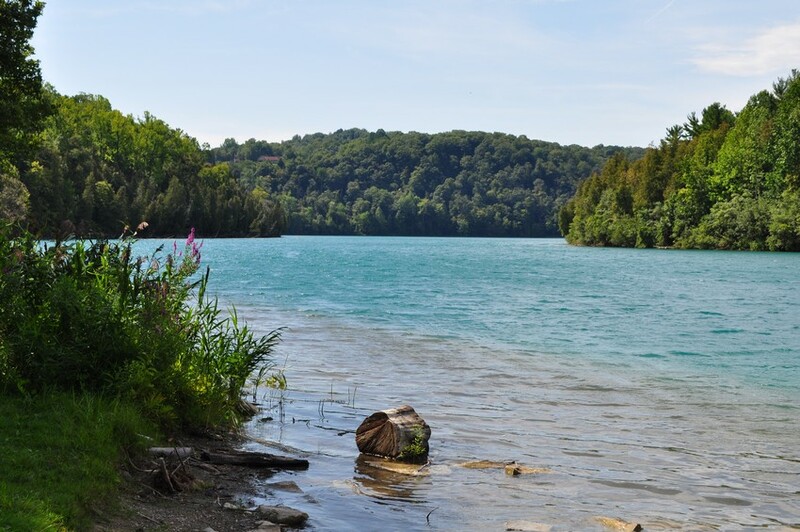 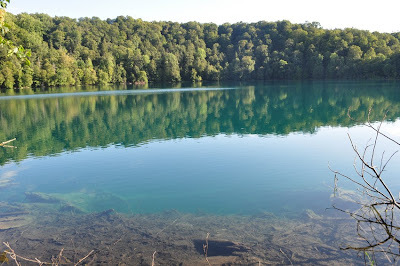 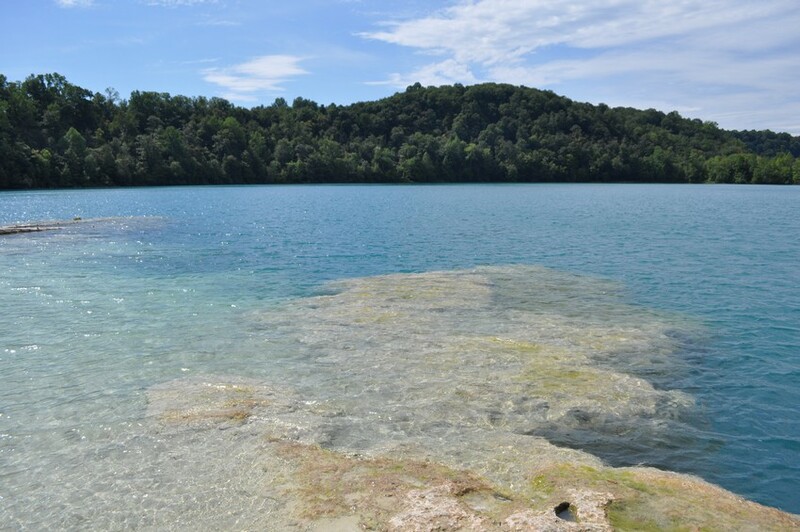 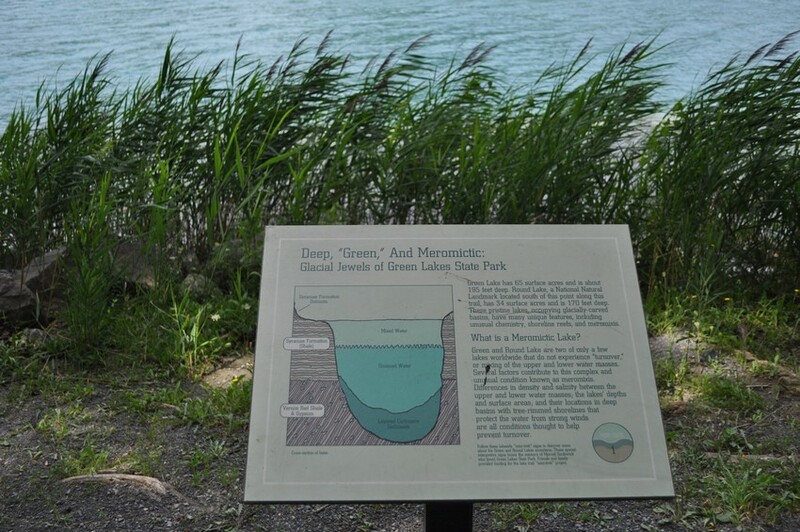 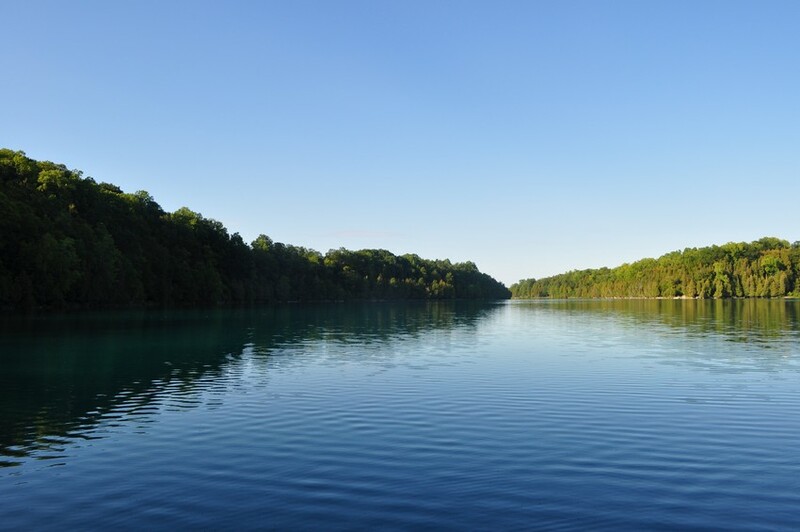 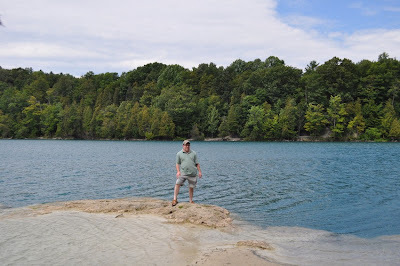 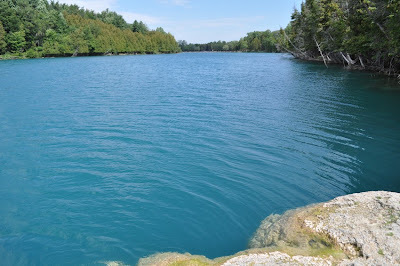 Green Lakes Park consists of two glacial lakes that have an interesting green color and are extremely deep. 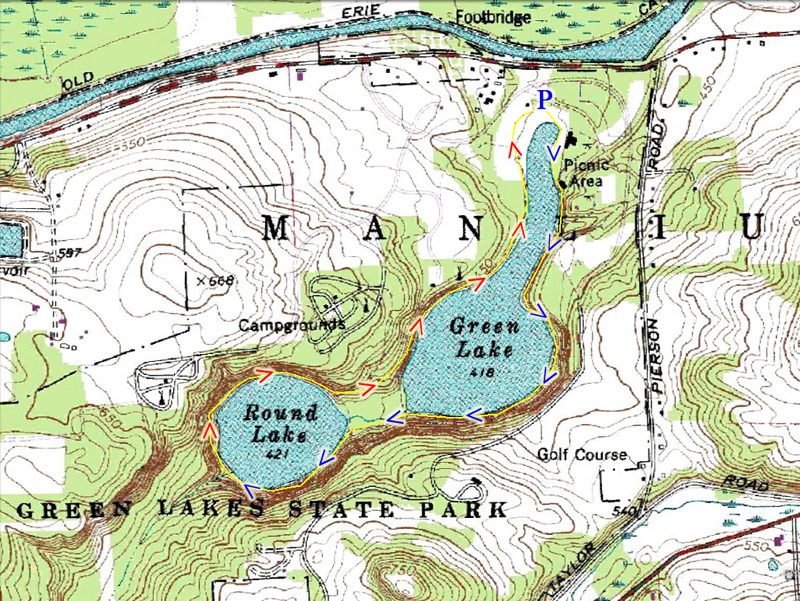 There is a trail that goes around both lakes, and two trails also connect the lakes for a complete loop. The first two photos were actually taken the evening before when I was just doing a short hike exploring the campground; the rest were taken on my main hike around both lakes. Round Lake before sunset. Note the green color! 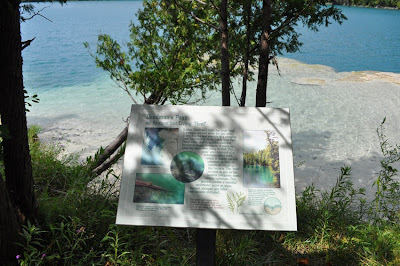 are formed by organisms that secrete calcium carbonate.